Buffalo aspires to be a singer and Barry White is his role model. 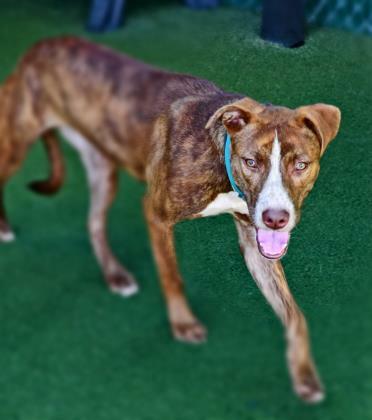 Don’t let his deep bark scare you though, this playful pup adores people and is good with kids. Take him out for long walks, rub his belly and he’s all yours. When he’s not working on his vocals, Buffalo likes to be a wild child and roll in the dirt. Very smart and housetrained, Buffalo is available for doggie dates so you can get to know him. Stop by SPCA Florida and meet Buffalo today! Can you help shy Leia come out of her shell? Leia is a gentle soul who needs someone who understands introverts. It may take her a bit to open up, but she’ll be well worth your patience with her sweet personality and the loving affection she’ll provide. She would probably do best in a calm home with no small children as they may scare her a bit. She’s quiet but a young pup who still likes to play. 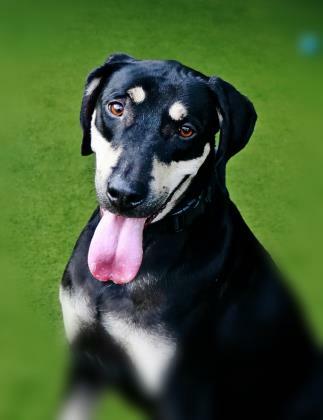 Come to SPCA Florida and get acquainted with Leia! You don’t have to be afraid of this tiny 5 pound T-Rex. He might “rawr” but he doesn’t bite. He’s just a baby who likes to jump, climb, and wrestle. T-Rex needs a special family to see his beauty and love him as he is. When he was younger, he had a severe cold that left his eyes scarred so they look a little different. His vision is blurred but his eyes are otherwise healthy with no medications needed. Other than that, he’s a normal, happy kitten who is looking for his purrfect home. Stop in SPCA Florida and play a while with T-Rex! Can you help Willow continue to jump for joy? Since she was started on a special prescription dry food to help regulate her thyroid levels, Willow has turned into one spry senior cat. She jumps super high and has a blast playing with toys. Her furrever family will need to keep her on this food to help her feel her best. She’s a faithful companion, staying by your side and listening to you. She’s also content to look out windows and daydream of her mouse-hunting days. She may be 14 years old, but it seems she has a new lease on life and just needs someone to spend it with. Come over to SPCA Florida and meet sweet Willow!